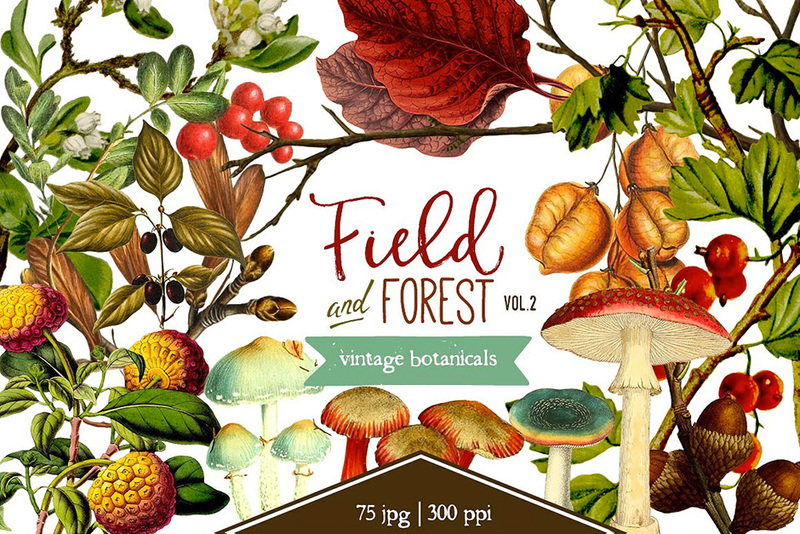 This is a carefully curated collection of 75 vintage botanical graphics of leaves, branches, berries, dandelions, flowers, mushrooms, acorns, thistles, walnuts and more. All are plants and fungi that you may come across in a stroll through a field or a walk in the forest. Each graphic is an individual .PNG file with a transparent background, so they are easily layered. Perfect for cards, invitations, digital scrapbooking, and more. They are printable at an average of about 3″ x 4″ although some are larger and some such as the walnuts and pine cones smaller. File size is approx 72.2MB (80.1MB unzipped), offered as a single download.